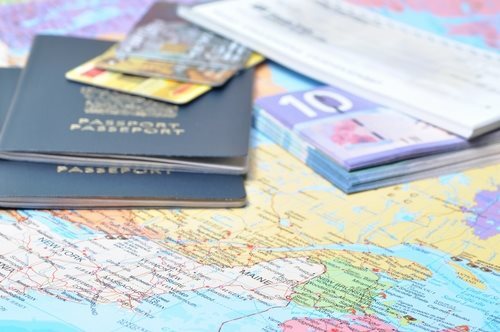 A passport is an individual's key to international travel. In turn, the passport office is the institution that supplies an individual with the ability to freely travel internationally. When a passport is presented abroad, it is a request that foreign governments permit your entry or your temporary residence in their territories. With a passport, comes the ability to access all lawful, local public resources, aid, and protection. A passport agency, is the only means to secure such a crucial document. Without a passport office, an individual would not permitted to travel anywhere outside of the United States. In addition to travel rights, a passport allows access to U.S. consular services and in-depth forms of assistance while abroad. Perhaps most importantly, however, a passport allows an individual to re-enter their home country. Passport offices are responsible for processing the individual's information and ensuring that the person in question meets the criteria for a passport. In the United States, there are over 9,500 passport offices; each office has the ability to process an application and create a passport for an individual. The passport office will relay the information to one of 3 national processing centers where the information will be checked and viewed in accordance with federal law and the passport agency's regulations. These passport offices accept applications, and run checks on all those interested in obtaining a passport. The numbers of passport offices, as well as the criteria associated with the application, vary based on country. Each passport office must maintain a mission statement, outlined by the federal government of the particular nation. Issuing a passport, especially given the times, is a serious practice. That being said, a passport agency aims to offer this service with the utmost respect, and a courteous demeanor, while enforcing the regulations that are instituted by the federal government.